Many frustrated shareholders in Fannie Mae and Freddie Mac want the mortgage finance giants released from federal control, so they can reap the profits of their investments. But that might not be so great for the mortgage industry, according to a new study. A report by Jim Parrott, senior fellow at the Urban Institute, and Mark Zandi, Moody’s Analystics chief economist, found that privatizing Fannie and Freddie could cause mortgage rates to spike by almost a full percentage point. If the GSEs were privatized, the report states, they’d most likely have to increase their capitalization – which in turn would lead to higher costs that would be passed on to borrowers. Mortgage rates could jump by up to 97 basis points – in addition to other costs, ultimately borne by borrowers – that would come with privatization. Higher-risk borrowers would see their rates jump even more. 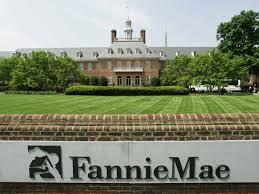 Fannie and Freddie were placed into government conservatorship in 2008 after teetering on the brink of collapse. Under the terms of the conservatorship, the GSEs send all their quarterly profits to the Treasury. The company’s recent record profits have been a windfall for the Treasury – but that’s angered shareholders who’ve been unable to realize their own profits.